Showing recent results 2131 - 2145 of 4500 products found. 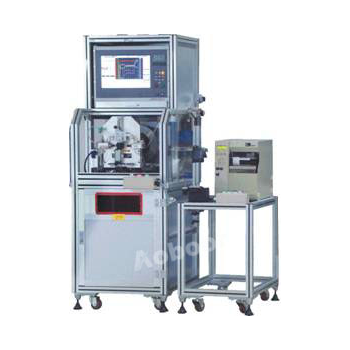 CSR2000 - Rhesca Co., Ltd.
useful for evaluate for thin films like that DLC , TiN , ITO, CrN and optical parts.We can measure and determination adhesion strength between thin films less than 1 micron and substrates using Micro scratch method. You can gets the evaluation outputs for the critical point of films fracture. Hot Box - BCO, Inc. 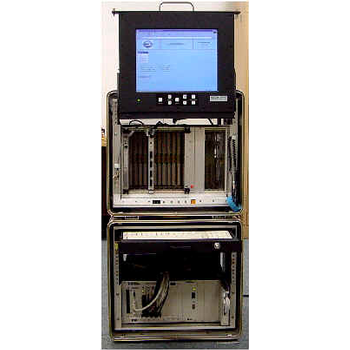 Performs confidence testing on new or suspect Commercial Off the Shelf (COTS) VMEbus boards and spares in their Native Environment. Provides Stimulus and Measurement Subsystem (SMS) to control, monitor, and evaluate VME assets used in the Non-Propulsion Electronic System (NPES) of the submarine. 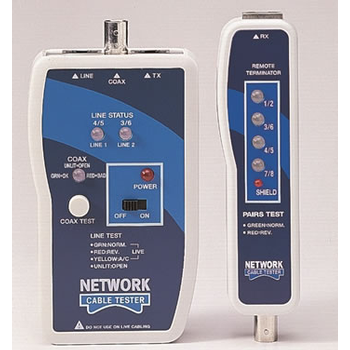 The PA-40 is designed to check both shielded and unshielded twisted pair (STP/UTP) and coaxial BNC-type network cables. 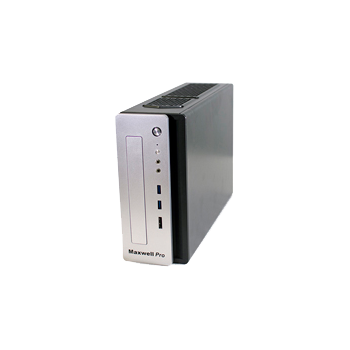 With the push of a button, it tests all wires for continuity, miswiring, and polarization. Dual-colored LEDs let you identify correct and reversed pairs; using the included remote unit, cables may be tested before installation or after installation. Features tip/ring polarity test. Uses 1 9V battery. *A two box solution to testing AV panel installations. *Each box only 150mm square. *Easy to use with only one button operation. *LCD display for test results. *All major AV connectors present, no need for extra adaptors. 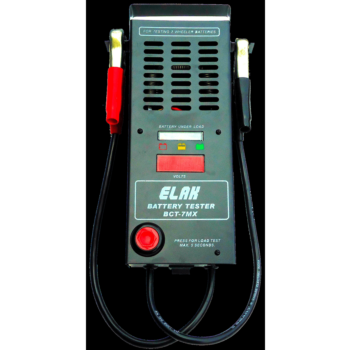 *6V battery or Mains use. *A single box solution for testing AV cables. *Easy to use with only one button operation. *Detects Open, Short and Crossed circuits. 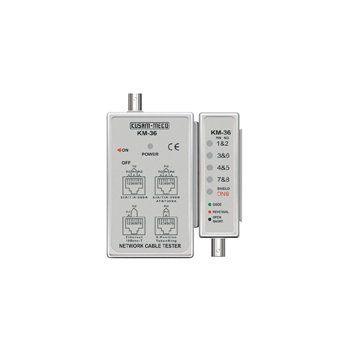 *LCD display for test results. *All major AV connectors present, no need for extra adaptors. *40+ preprogrammed cable types. It can quickly test Ethernet 10Bose-T(TP/STP), AT & T258A, EIA/TIA 568A/B, 8-Position Token Ring, and USOC4/6/8 modular cable. * It does automatic test for open Circuits, Shorts, miswires, reversals. Maxwell Pro - InterWorking Labs, Inc. The Maxwell Pro Network Emulator helps engineers learn how their products will perform in mobile, cloud, and WAN networks. By capturing and changing network flows, Maxwell Pro can induce the conditions that cause network congestion, slow links, time outs, Lossy networks (LLNs), and many other adverse network conditions. Engineers can then see the effects on the device or application to find and fix bugs, solve network problems, and learn the limits of device and application performance. 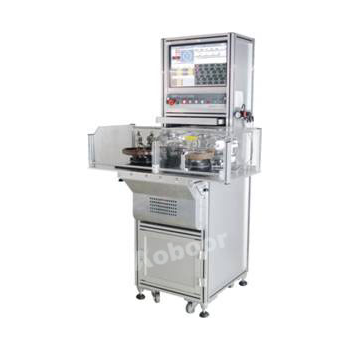 DS720 - Shanghai Aoboor Electric Co., Ltd.
Applicable to electrical properties test of motor armature with any number of communator bars, for example, automotive motors, motorcycle starter motors, Power tools motors, traction motors, vacuum cleaner motors, fitness equipment motors. 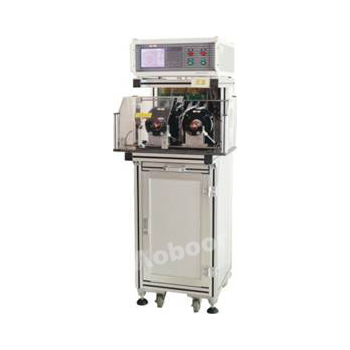 DS920 - Shanghai Aoboor Electric Co., Ltd.
Applicable to electrical properties test of motor armature with any number of commutator bars, for example, automotive motors, motorcycle starter motors ect. 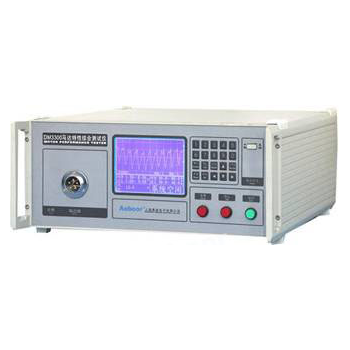 DM Series - Shanghai Aoboor Electric Co., Ltd.
Applicable to no-load current and speed test of DC motors. The new generation motor-cycle and scooters are fitted with an electrical start. It is therefore very essential to test these batteries under load, to ensure that the batteries are capable of starting the vehicle. Load-applied dynamometry of DC permanent-magnet brushed motors, test items can also include vibration noise. 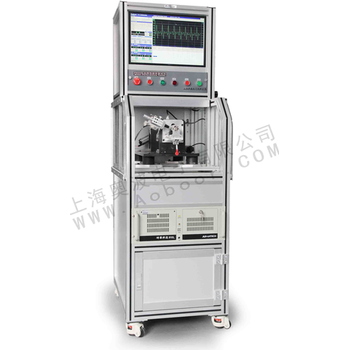 CT Series - Shanghai Aoboor Electric Co., Ltd.
Test the cogging torque of motors, separate motor cogging torque and friction torque accurately; cogging torque test results is independent of test speed and speed fluctuation. 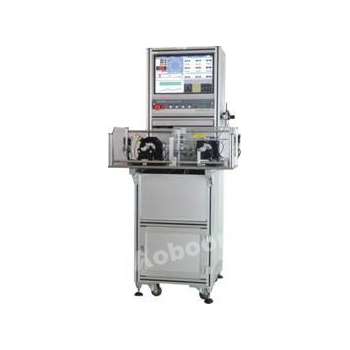 DZ901 - Shanghai Aoboor Electric Co., Ltd.
Applicable to precision electrical properties test of stators of y-type three-ohase motors, single-phase motors, hub generators, brushless motors and servo motors. 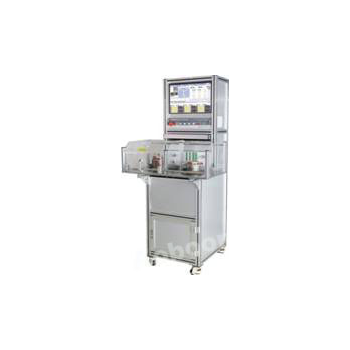 DZ900 - Shanghai Aoboor Electric Co., Ltd.
Applicable to electrical properties test of stators of y-type three-phase motors.